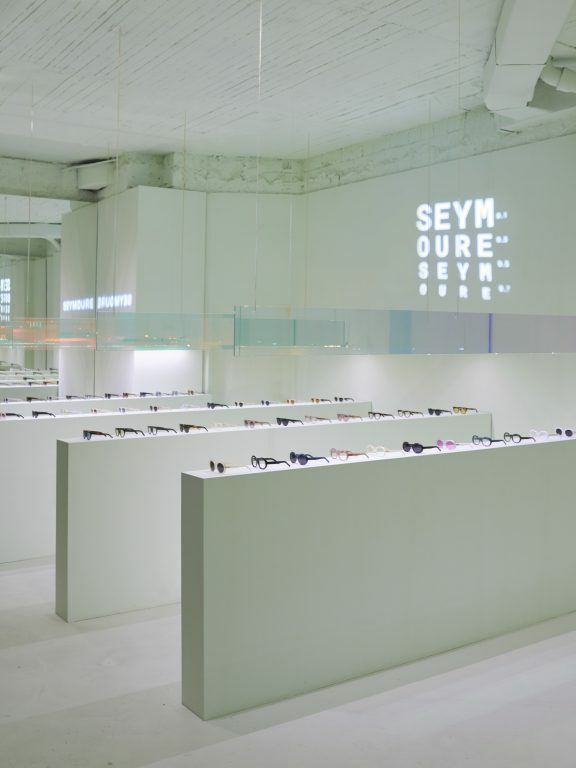 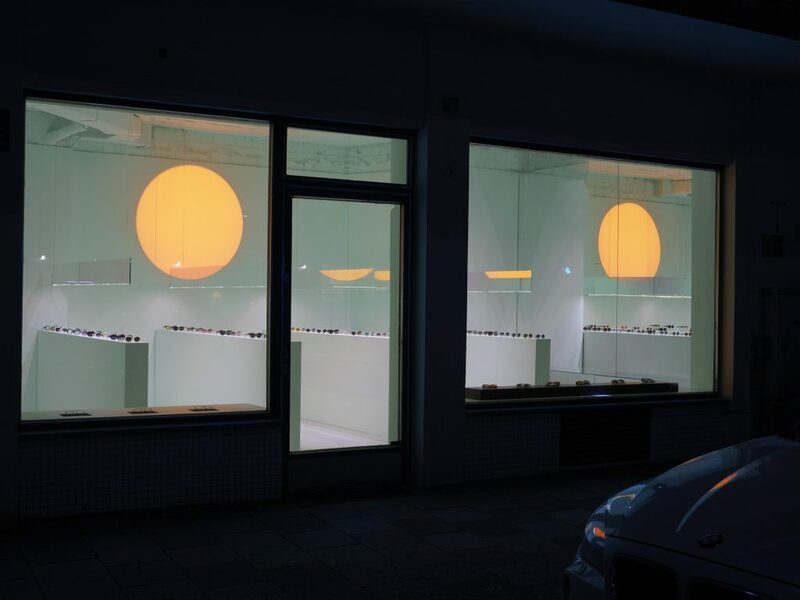 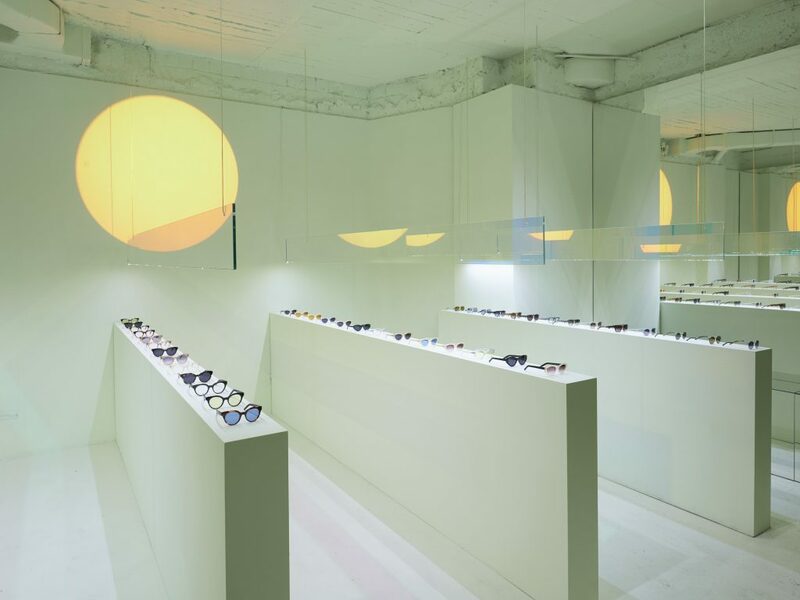 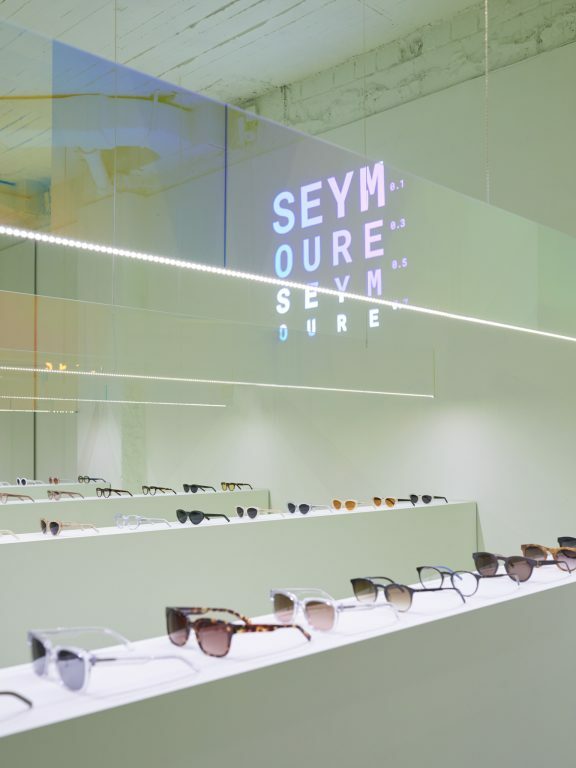 Sleek light green blocks merge with its surroundings in a store close to Munich’s Gärtnerplatz, designed by Jan Heinzelmann and RELVAOKELLERMANN for the eyewear brand Seymoure. 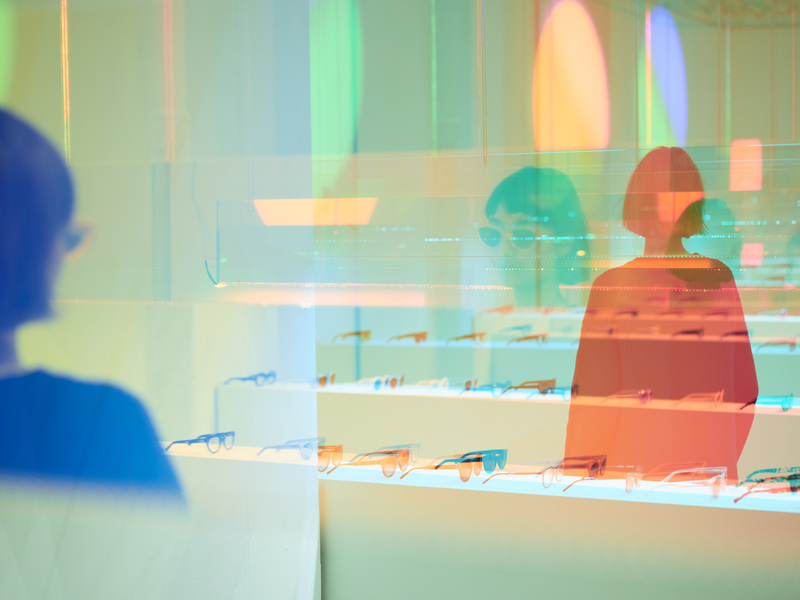 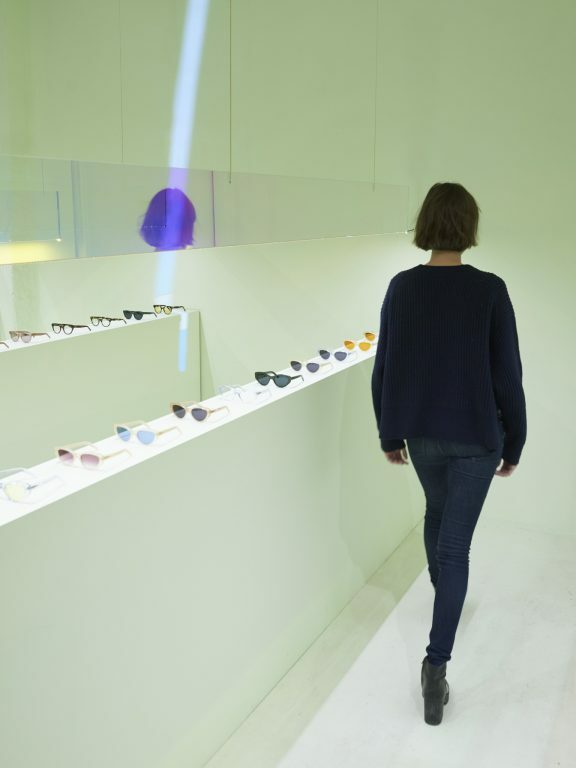 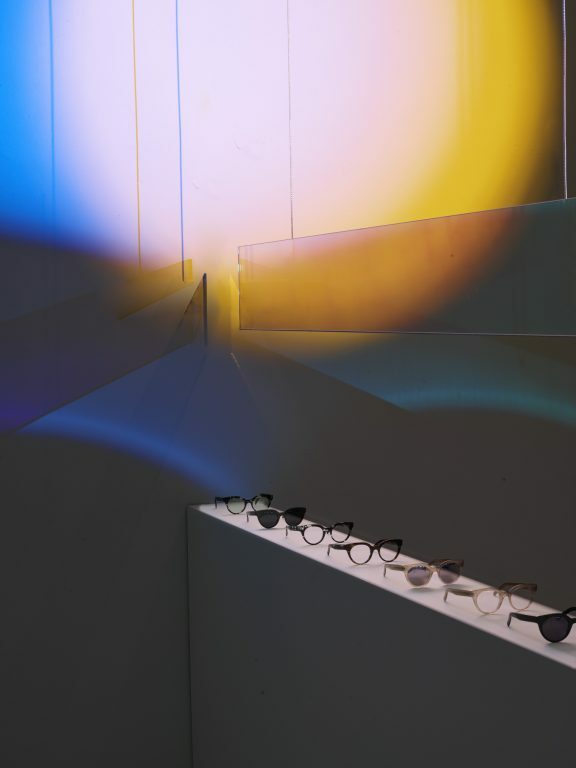 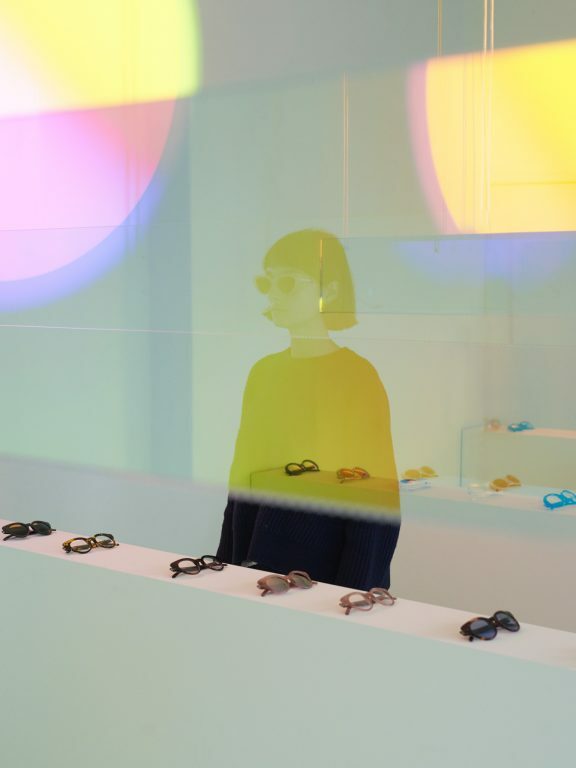 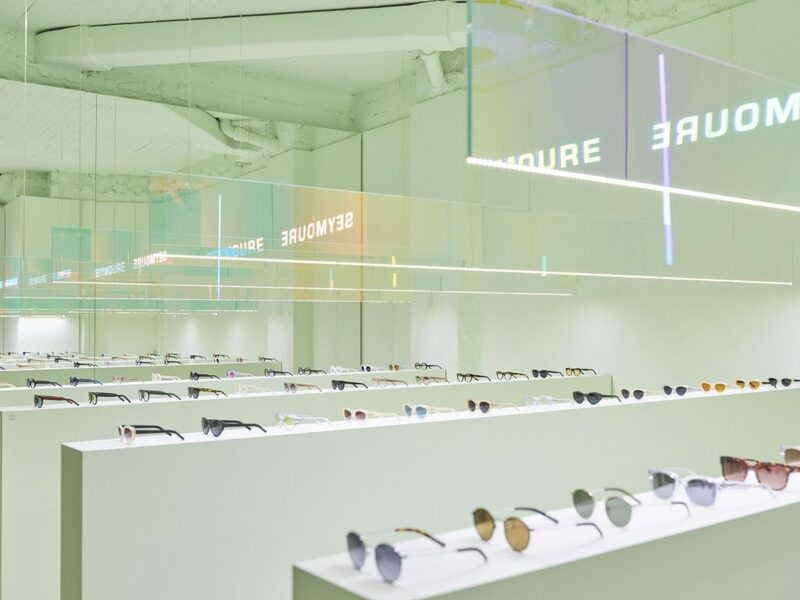 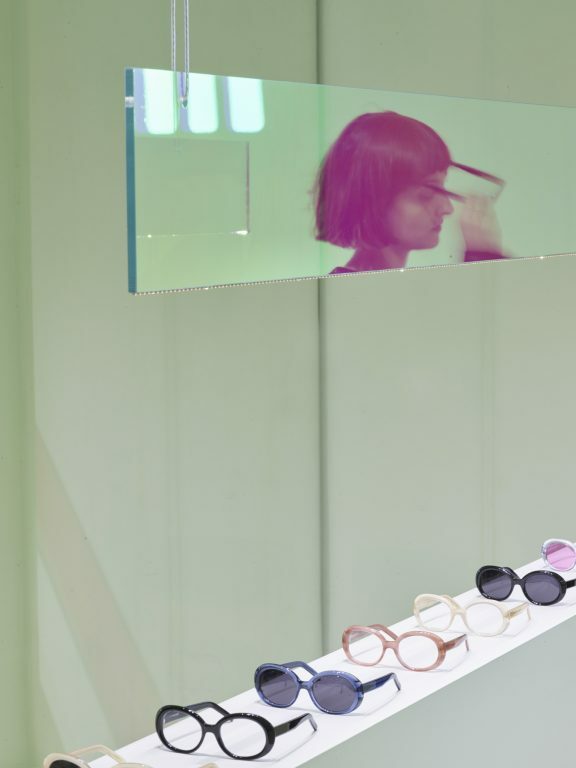 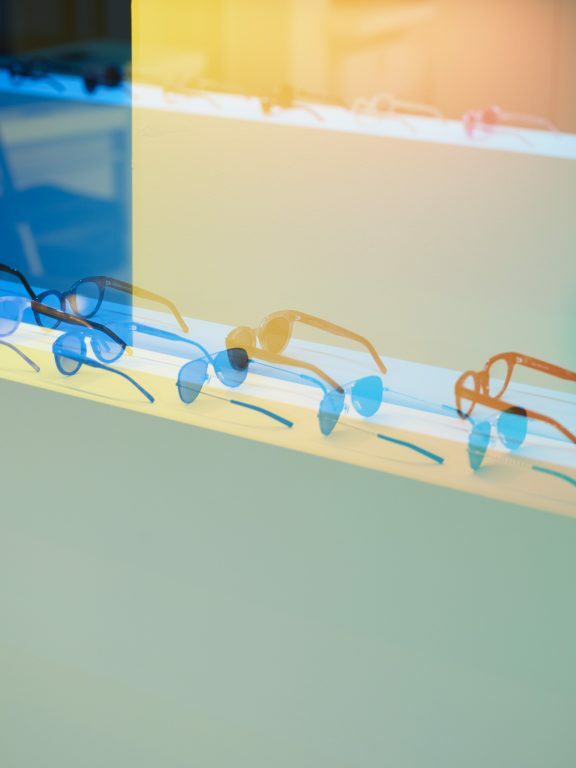 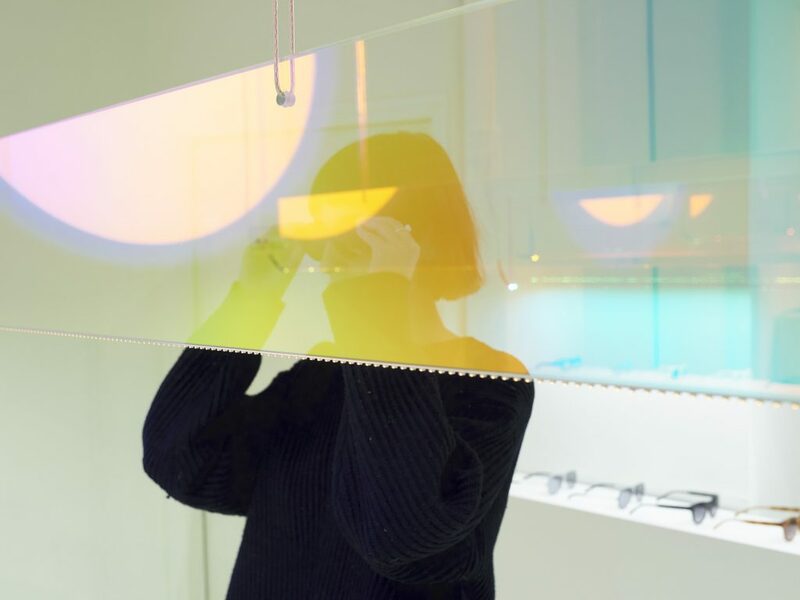 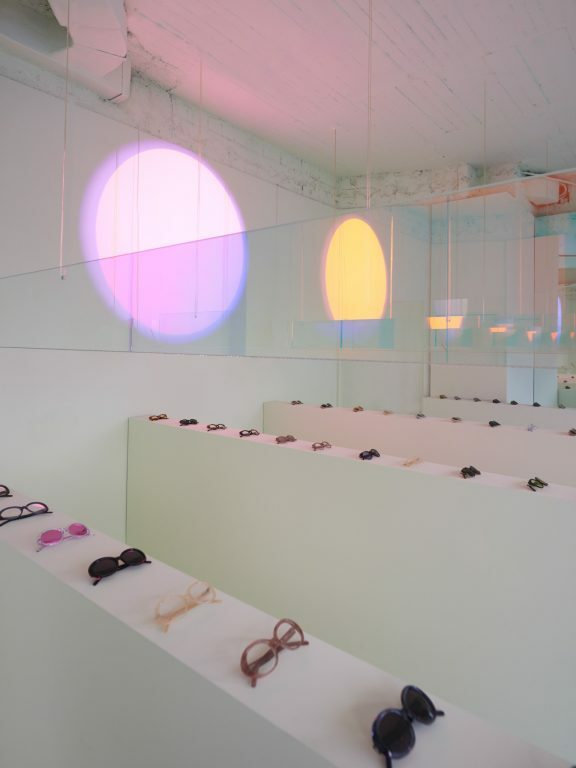 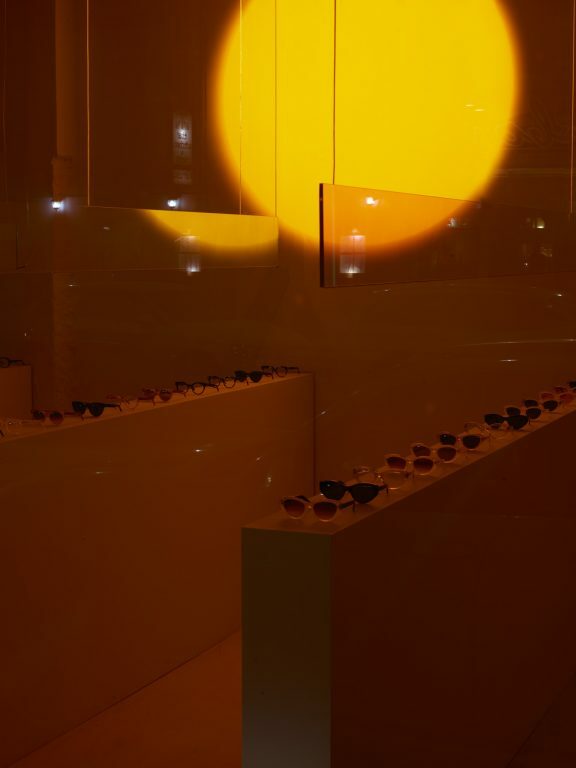 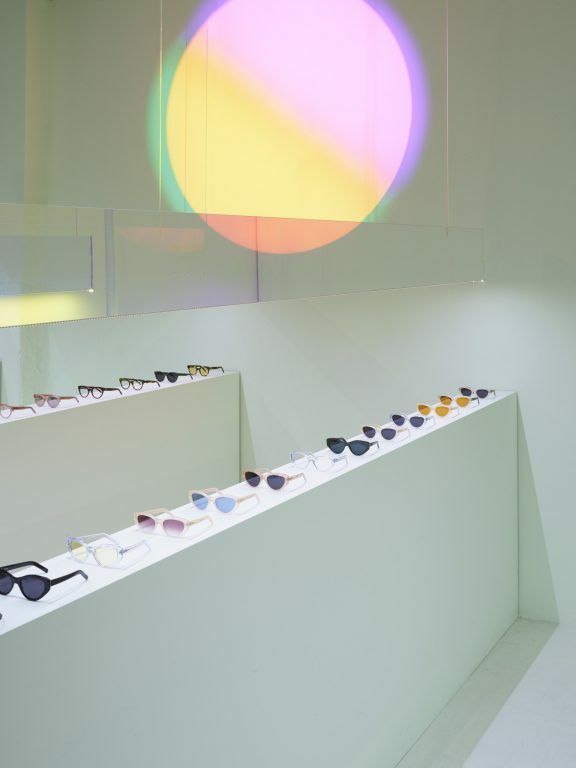 The boutique, which opened in December last year, features dichroic glass mirror stripes hanging over each block, generating light, privacy and at the same time enabling a fast first look for the one who tries the eyewear. 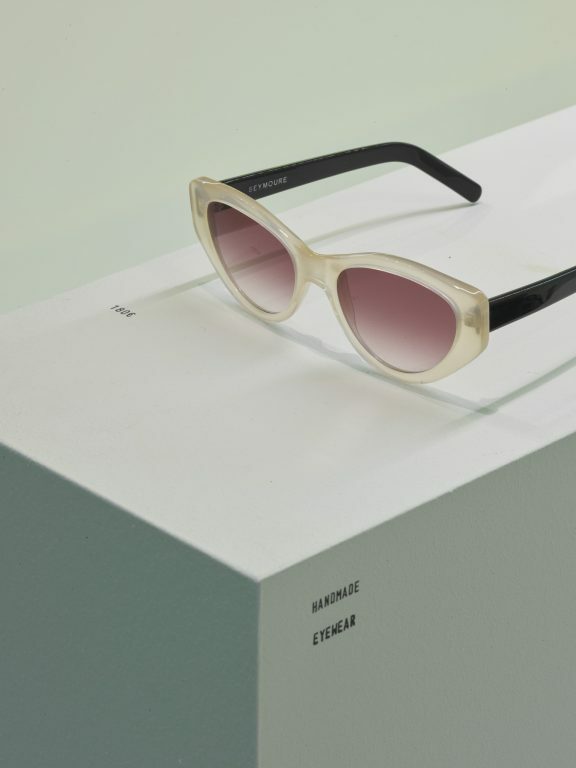 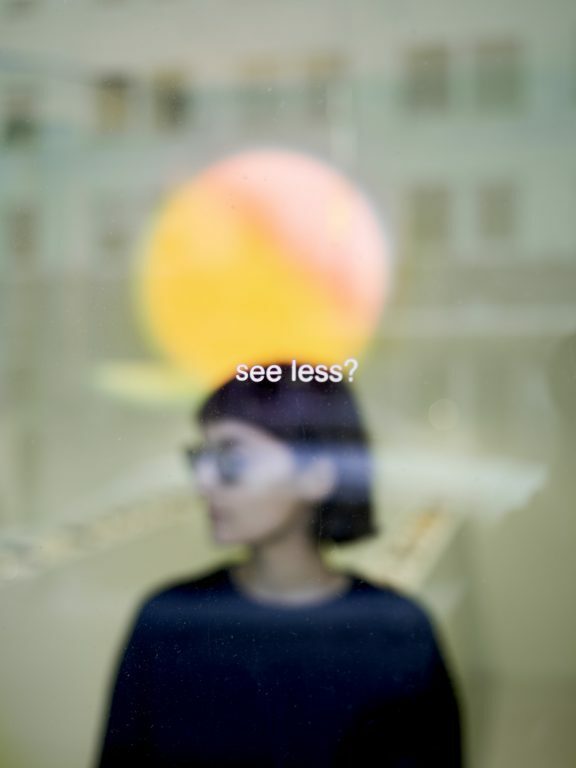 Prescription glasses and sunglasses are in their own very vivid duo to its acetate and lenses colors, so it was our intention to create a very minimal and straightforward platform for showcasing them. 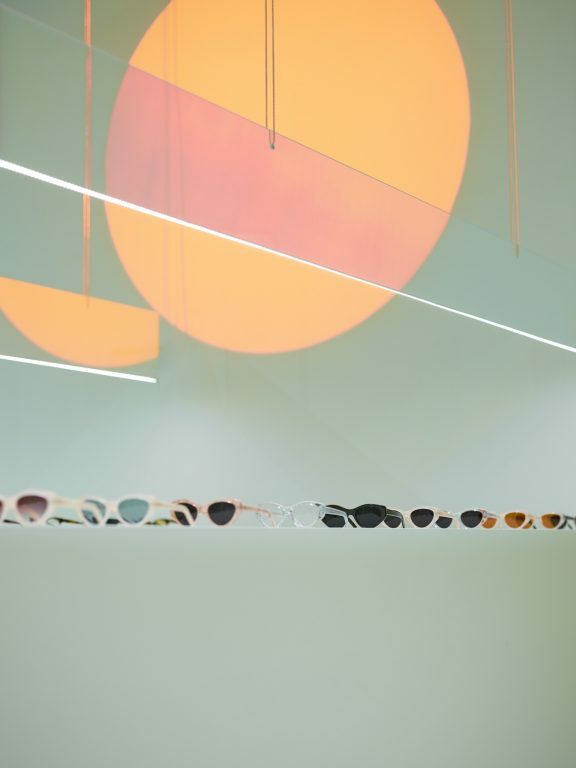 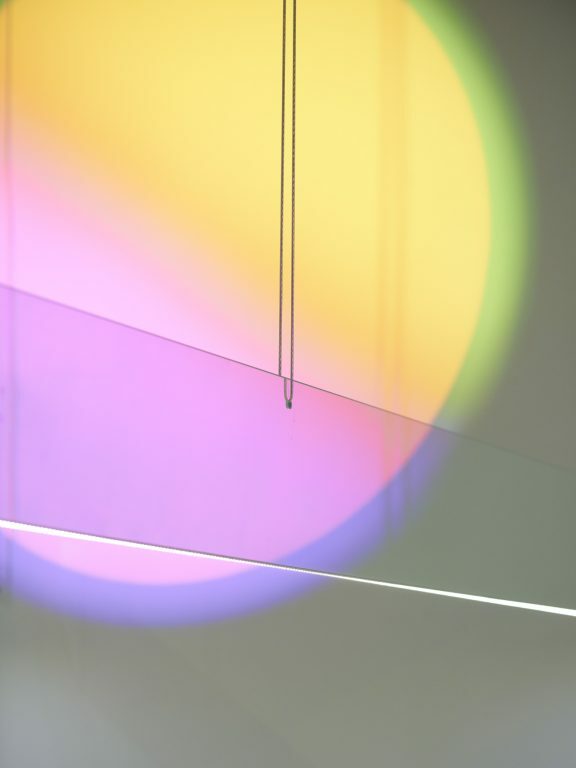 The space gets complete by a light installation that is always running and uses the entire room as a canvas.